Experience the fun of fishing. Welcome to Best Fishing Places.com where we capture the best quality fishing experiences across the country while promoting the best guides and charter businesses in the industry. Whether you are fishing a lake, river or somewhere on the ocean, your fishing experience usually hinges on the obvious, fish biting, but a good crew can also make or break the trip. Help us build a site full of awesome places to fish. Post your experiences, visit our top quality Charter fishing companies and guides from around the US. 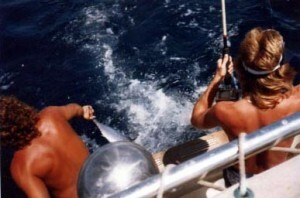 Participate in our annual deep sea fishing tournament as well. 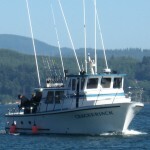 Chartering deep sea adventures and fishing trips are not for the novice. Finding the fish, keeping safe and owning a boat are not trivial by any means. Finding a good Charter Fishing fleet is also an art in itself. Most can put on a good front and tell you all is well, but when it comes to knowing the ocean and being a good captain, experience is the key. Best Fishing Places works with some of the top Charter Fishing businesses on the Coast in an effort to provide you with top quality Charters and Guides who know what they are doing and do it well. Each area has it’s own unique characteristics when it comes to fishing. Weather, sea conditions, types of fish, how far you have to go to find them and what techniques to use are vital in determining the right fishing locations. After all, the ocean is vast area and when you are out on a boat it doesn’t take long to understand who is in charge; the ocean is. Check out our featured charter fishing companies and the reasons we promote them. You’ll enjoy the trip much more when your experience is done right and with confidence. Every year Best Fishing Places hold an Deep Sea Fishing Tournament along the pacific coast. We charter one of our features companies to showcase their expertise in the industry and have not been let down. So far we have fished off the coast of San Diego, California and Newport Oregon. In 2011 we are returning to the company who helped us start this off in San Diego. We hope as time goes on and more charter companies come aboard, we can expand our tournaments to multiple boats and locations throughout the year in an effort to promote Sport Fishing and the incredible benefits of fresh fish. If you would like to become a sponsor in our tournament or a participant, jump on over to our tournament page and sign up or contact us for more details. The Pacific Coast offers many varieties of fish. Tuna, Halibut, Rockfish, Dorado, Salmon, Marlin, Shark and so much more. Come join the fun and build memories that will last a lifetime.